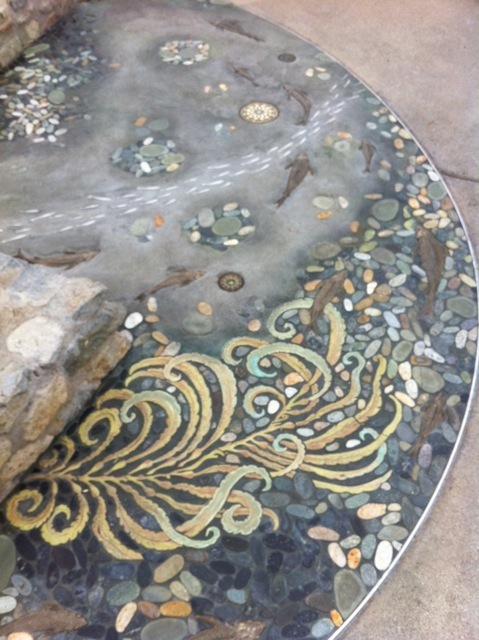 Here’s a quick preview of our Huntington Beach design project. We recently went back and took some updated pictures of this beautiful home and can’t wait to show you guys! We’re gettin’ your toes wet today because next week we’ll post all the pictures and let you dive right in. Let’s hope this helps you start your weekend right! Happy Friday! 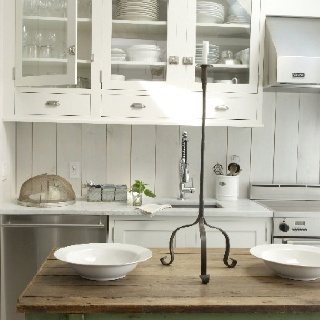 We’ve been seeing rustic, coastal design done right lately and we’re loving it. You can tell because it feels right. I know we can throw out some design jargon as to why it works or compliments this or that, but deep down you can just feel it throughout your entire body. You don’t want to change anything and you don’t need to add anything either. 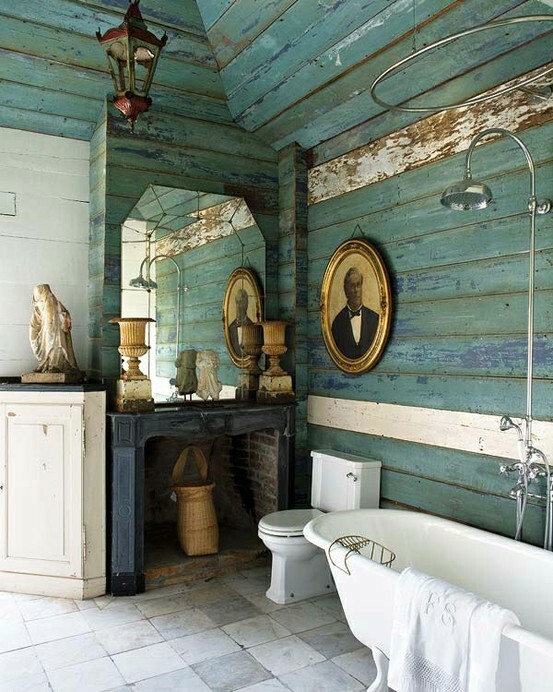 Lately we’ve been seeing a lot of original wood floors and wall panels. Also, people these days aren’t afraid to bring in a little color. Home owners are accepting and embracing the original installations of their home instead of ripping it all out and redoing it from top to bottom. We’re attributing it to this day and age’s DYI attitude mixed in with a little of the latest style trends and we’re loving it! 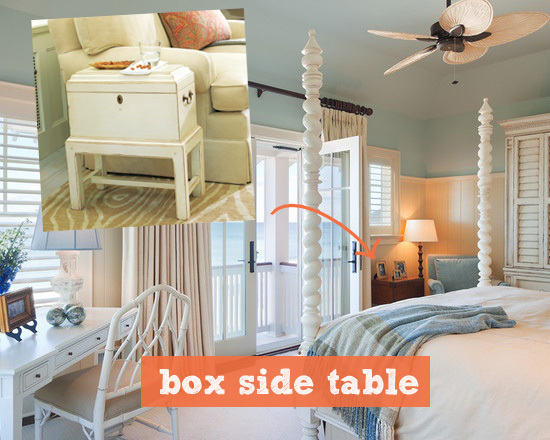 Last week we showed you some coastal bedrooms and what we loved about the spaces. If you missed that, jump on over and take a look by clicking here. This week we’re bringing Tuvalu to your bedroom! Today we’re focusing on furniture that we love in this room and some we would add in the bedroom shown above. We know that there’s a lot that goes into the bedroom, but we’re just showing you furniture today. Let’s get started! For starters we’re keeping the bed. 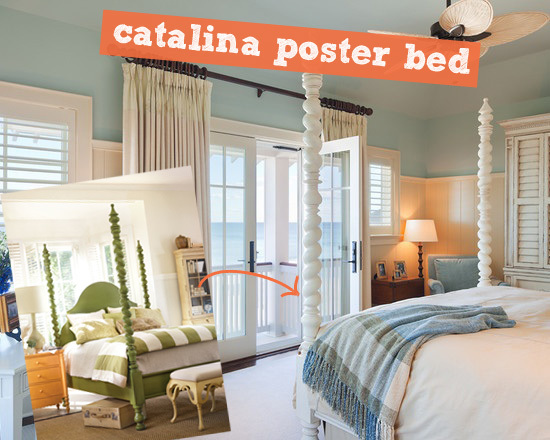 We love this bed because it brings so much coastal goodness into the bedroom. The shape of the bed posts are fun and show a playful side so the room never looks stiff or boring. We also like the headboard! It fits perfect with the bed frame and doesn’t over power the piece. We’re switching this one up! They went with a bamboo chair instead of a bamboo desk. We’re choosing the latter of the two. 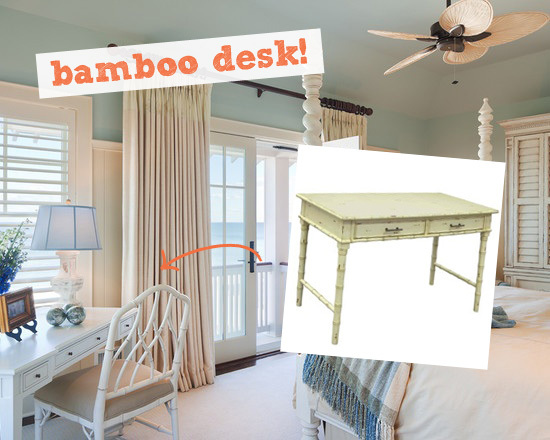 If you haven’t noticed, we are huge fans of bamboo so of course we’re going to bring it into the bedroom. We like the idea of a desk in the room. 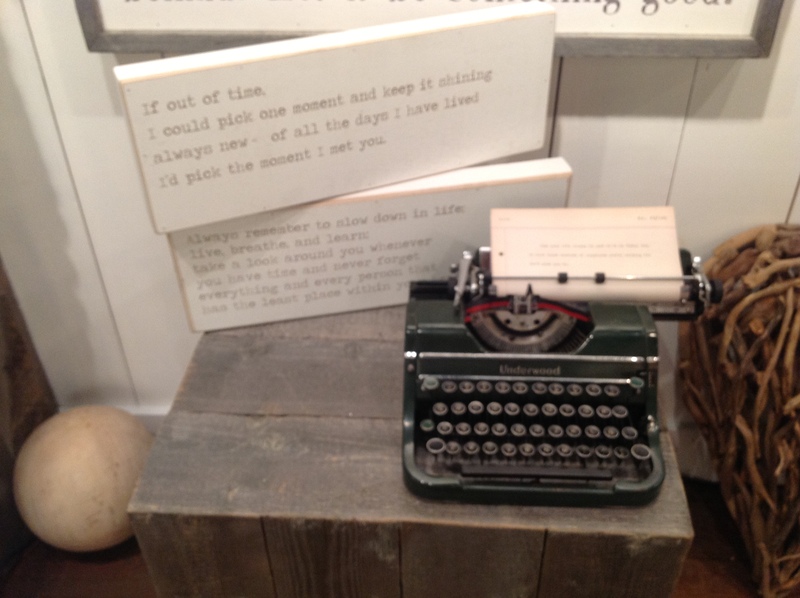 It gives you a space to get a little work done or just lay out a few magazines so you have some inspiration close by. 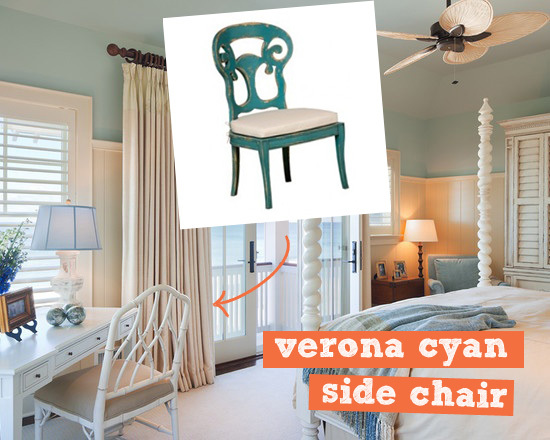 We wanted more pop in our space so we’re throwing the Verona Cyan Side Chair into the mix. This is the perfect desk chair because of it’s size. It’ll fit nice and snug! We like the back of the chair with the round shape and swirl-like charateristics. 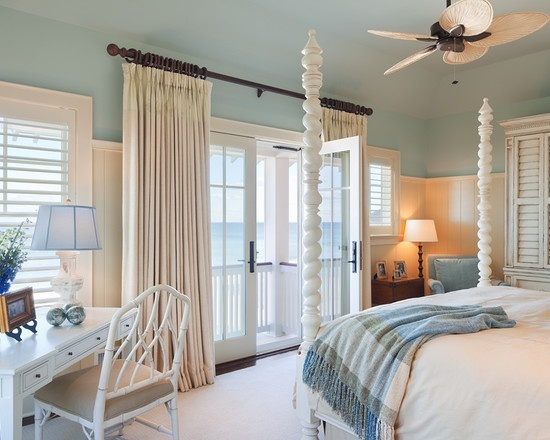 It continues on with our fun, coastal bedroom decor. 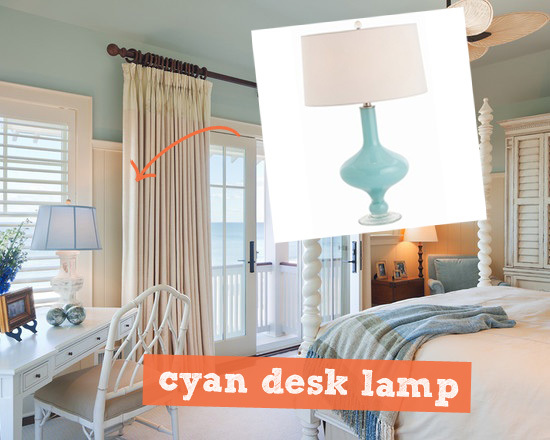 We want to bring a little more cyan into the room and we think that this desk lamp will do just that. You’re going to need some light when your working at your desk! This lamp is simple and clean. We don’t want the piece to be too big or clunky because that will throw off the balance of the space and look out of place. Make sure to keep it balanced! We can’t forget about the little corners in the bedroom. They give us plenty of unique opportunities to create cute spaces. We like what they did with this space, but we’re swapping out the furniture. 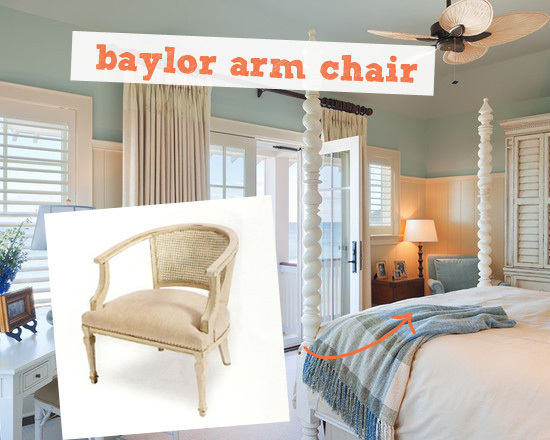 We’re going with our Baylor Arm Chair instead. 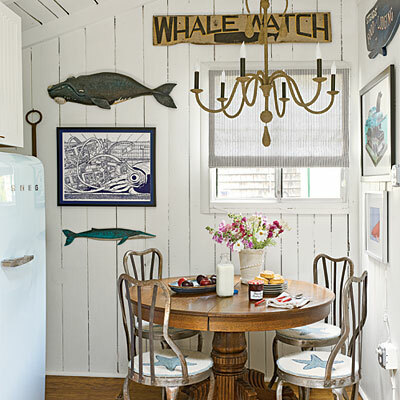 We like this chair because it gives off a great coastal vibe and brings that classic coastal look to the space. It also isn’t big which gives us more space to move through the room. Since it is a corner, and the space is a little limited, we don’t want big, protruding pieces that will ruin the flow of the room. So we’re keeping it small with this box side table. 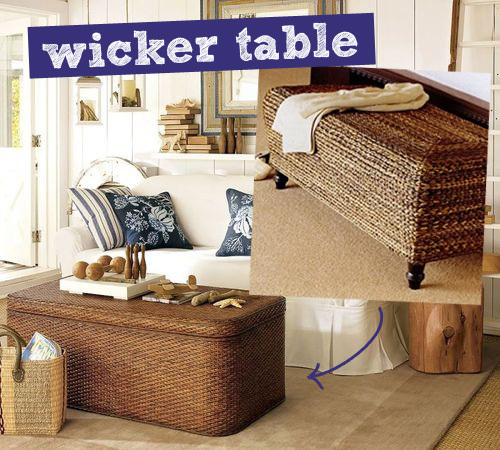 This side table is great because it doubles as storage space and a side table. The box gives you a place for you to store whatever you please, but if you’re in a hurry and just need to plop it down on the table part of it you can! You’ve gotta love a great functional piece when you find one. 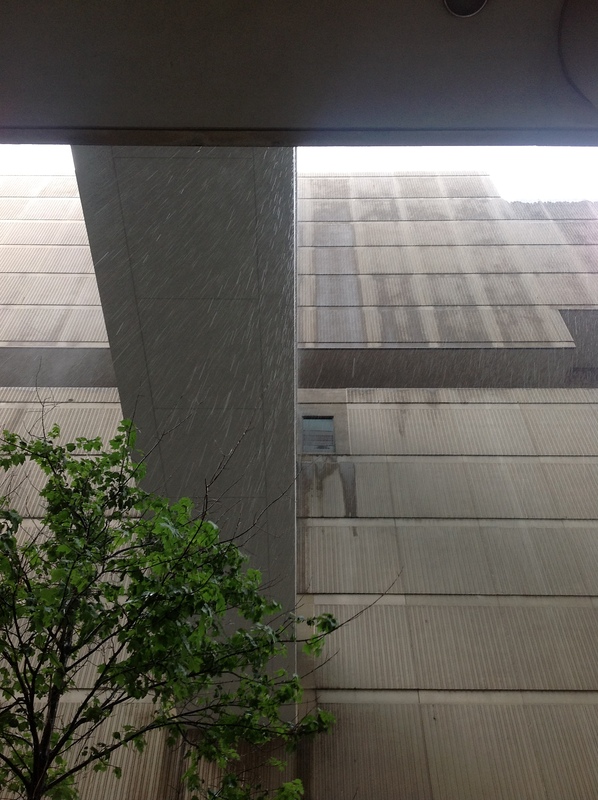 You can barely see what looks maybe like a dresser or cabinet barely peaking it’s way into this picture. We thought a fun and unique take on the traditional way would be to bring in a bookcase to the space. This would work great for displaying pictures, various accessories, possibly books and could be used to hold the foldable pieces of your wardrobe. 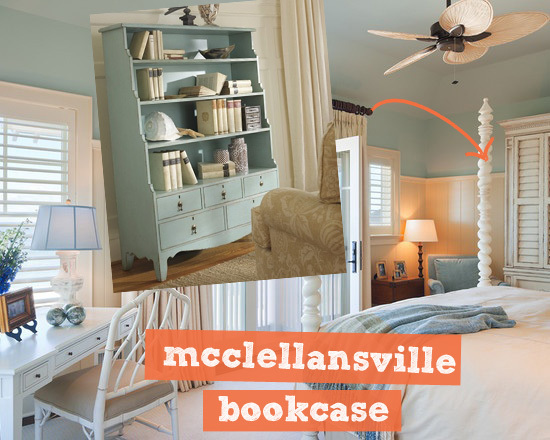 We also want to carry on the cyan color scheme throughout the room and this beautiful bookcase definitely allows us to do that. 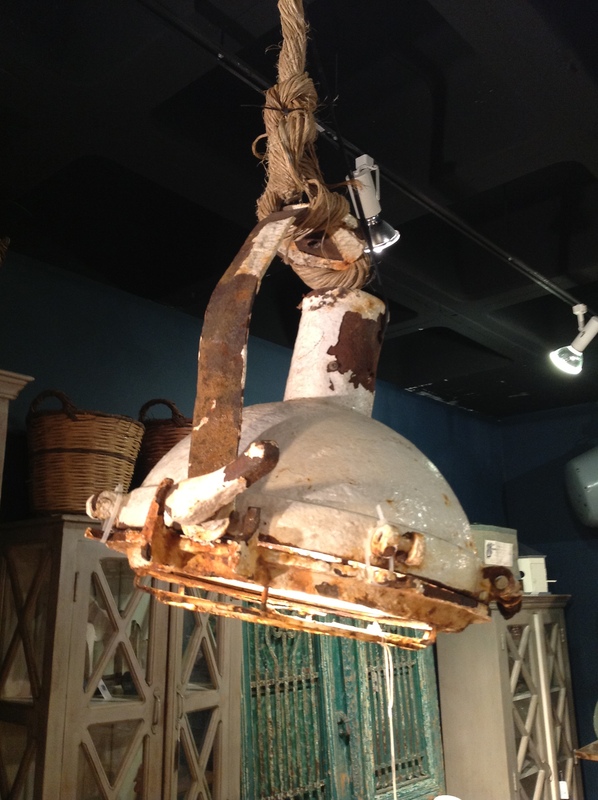 Bring coastal furniture and plenty more coastal decor for your home at Tuvalu Home! 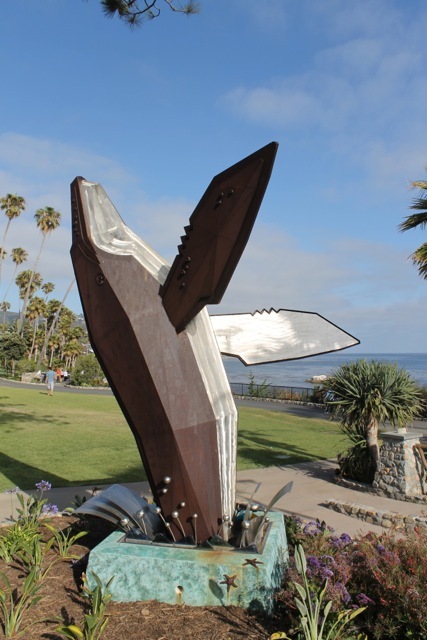 If you haven’t been to Heisler park lately, it’s time you head over there and check out all the eclectic art that’s in the park. 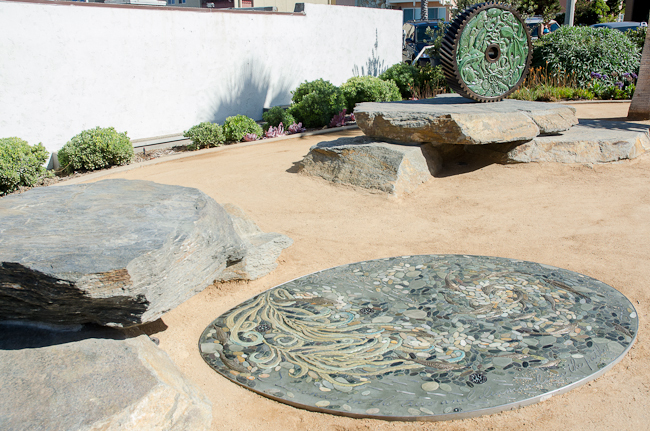 The park itself is spectacular and is located on the ocean in the heart of Laguna Beach. 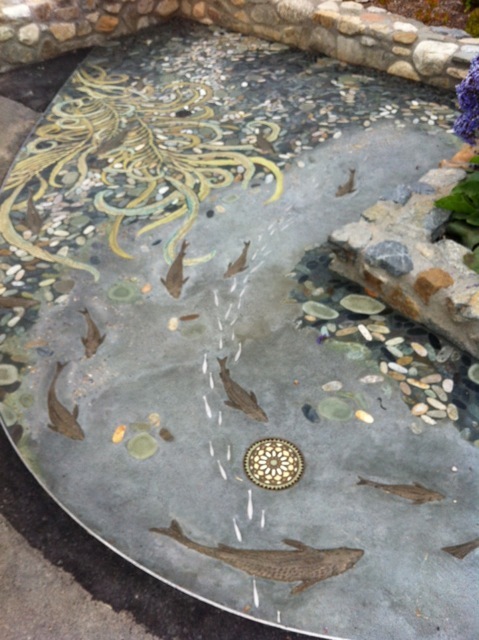 When Tuvalu was built in 2003, we commissioned local artist Larry Gill to design a fountain on the property. 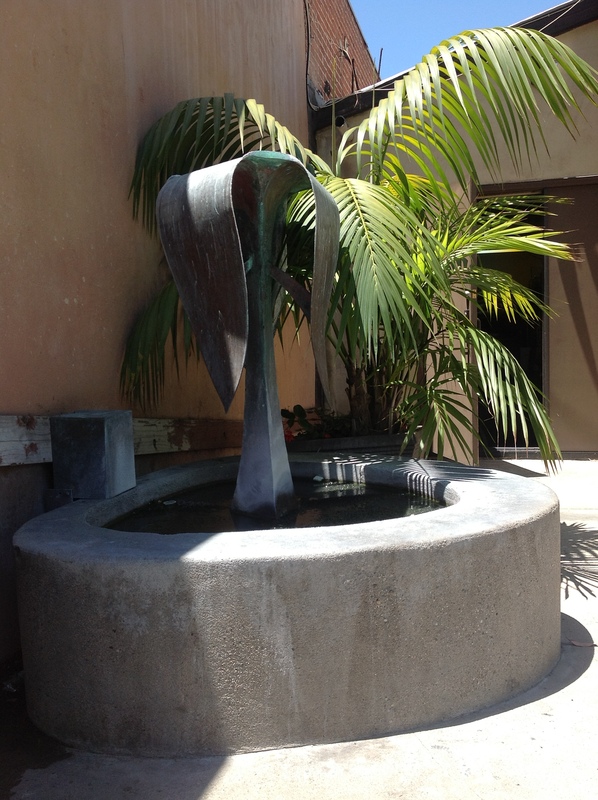 Not only does this reflect our appreciation of Laguna’s art history, but this was also created in memory of Tuvalu founders brother Brian who sadly is no longer with us. 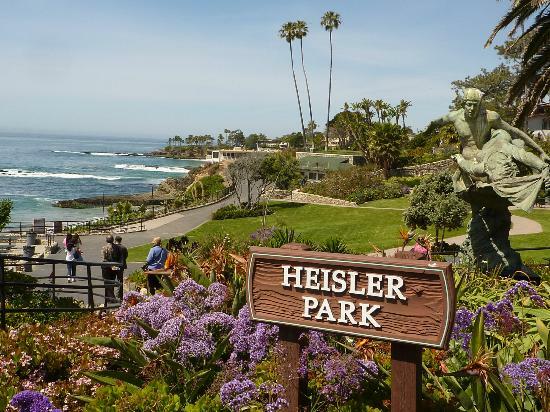 Brian called Laguna home and loved our great community. 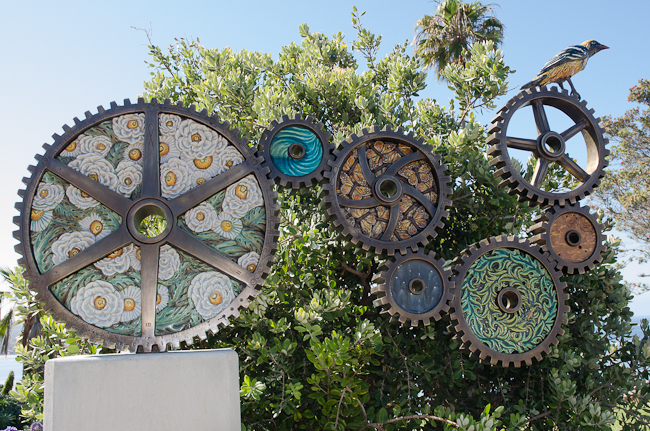 Some more art at Heisler Park. Today we’re looking at some beautiful bedrooms. The bedroom is arguably one of the best rooms in the house. We love the kitchen, mostly the food, and of course our family room, but the bedroom will always be at the top. We want to inspire you today with bedrooms we like and design aspects of the bedroom we like. We’re just going to get you warmed up for next week when we show you how to redo your bedroom Tuvalu style. So hopefully you’re still in your bed and getting cozy because we wish we were! We are envious of this space. It makes us think of driftwood or being out at sea. 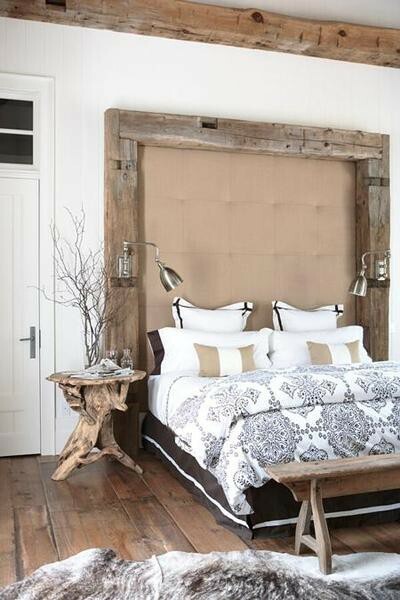 The tall ceilings with the rustic wood posts shaping the headboard is stunning. Not only is the headboard lined with thick wood posts, but the ceiling is too! 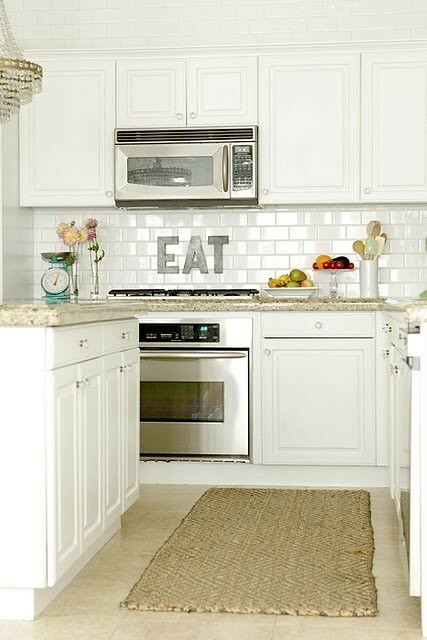 What a great and unique idea instead of the typical crown moulding. The side table/nightstand and the wood bench in front of the bed also make great accent pieces without pushing the rustic, wood feel over the top. This is Tuvalu love. This bedroom feels so light and airy. It’s inviting and looks relaxing. It makes you want to run and jump into the bed and forget about your worries. We also enjoy the symmetry of the room with the night stands and the lamps really bringing that aspect to the room. 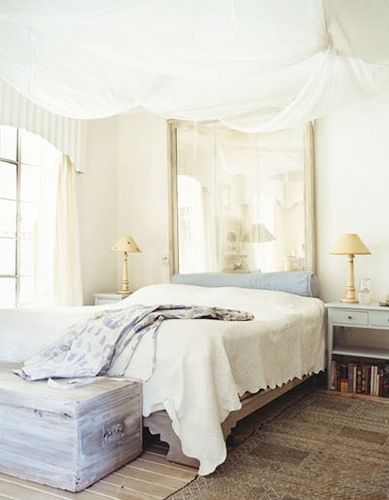 The rug underneath the bed leading out to the chest is a great way to add a little extra detail to the room. We like that the rug compliments the room and doesn’t stand out or clash what-so-ever. Be careful when choosing a rug that will go underneath your bed. 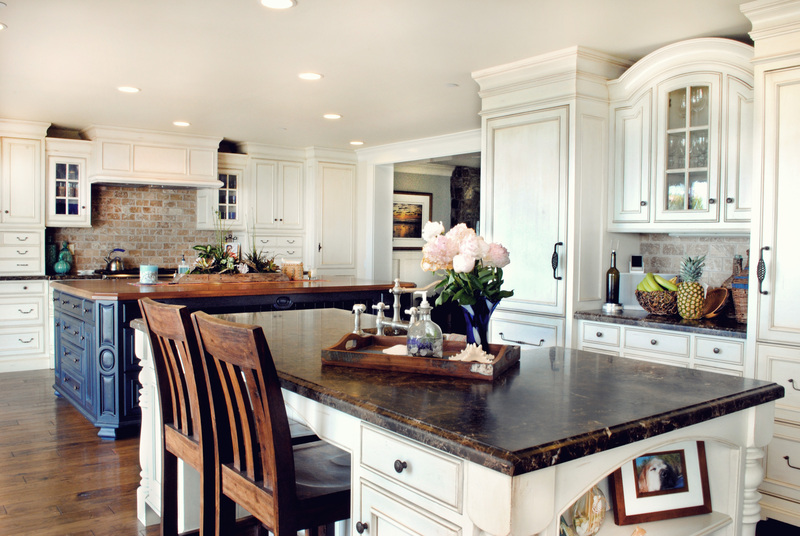 A few things to keep in mind is the amount of space you have, your color scheme and of course quality. 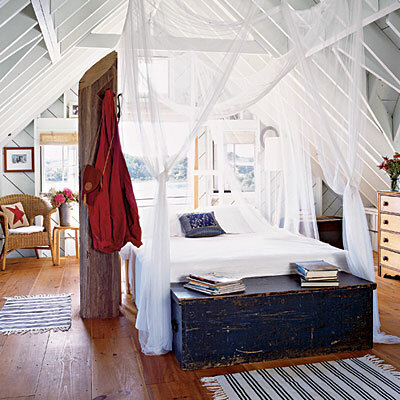 We love anything that hangs, especially beds. These beds are beautiful hanging beds. From the ropes to the pillows, we love it! We like the vertical stripes on the walls as well. It gives the room an even bigger, taller feeling with the already tall feeling that the hanging ropes gave. This room is all about the color scheme – blue and white. There’s almost too much blue and white in this bedroom, but did you notice the little touches of red in the pillows and the bedding? When you’re trying to stick to a color scheme you want to make sure you don’t go over board. It’s really easy to go over board and when you realize it, it’s usually too late. Keep your color scheme in mind when you’re putting together your bedroom, but don’t forget to bring in another color that will compliment your scheme. That’s not to say that you can’t do a color scheme without going over board. It’s possible, just harder to do. 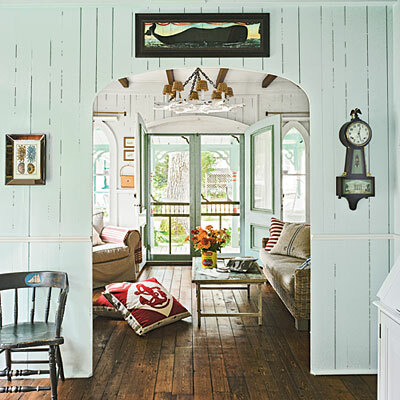 When it comes to coastal design we all think of beach cottages filled with whites, blues and neutrals; but not all of us have that taste. 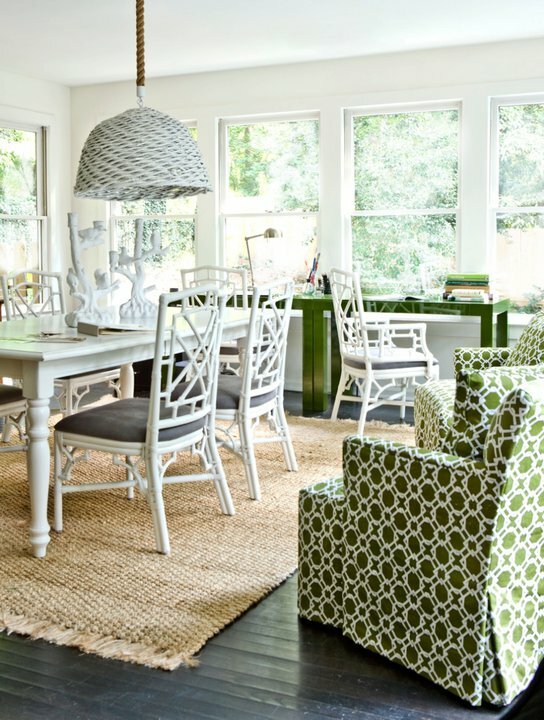 This room has more pop and brings an eclectic look to the room while still infusing coastal design elements. It brings together bright prints and patterns with accessories to match. Every style is up to your interpretation and that’s how design grows and evolves. Feel free to break the rules and let your true creativity come out. 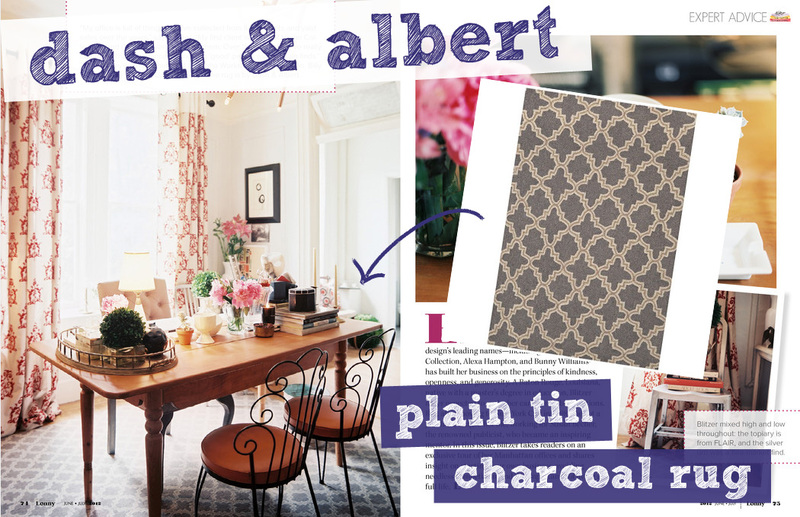 Dash & Albert rugs are featured in the June/July issue of Lonny Magazine. We love Dash & Albert rugs here at Tuvalu and carry a wide variety of them online and in the store. Swing down to the shop and check out some of the rugs or come hang out with us. 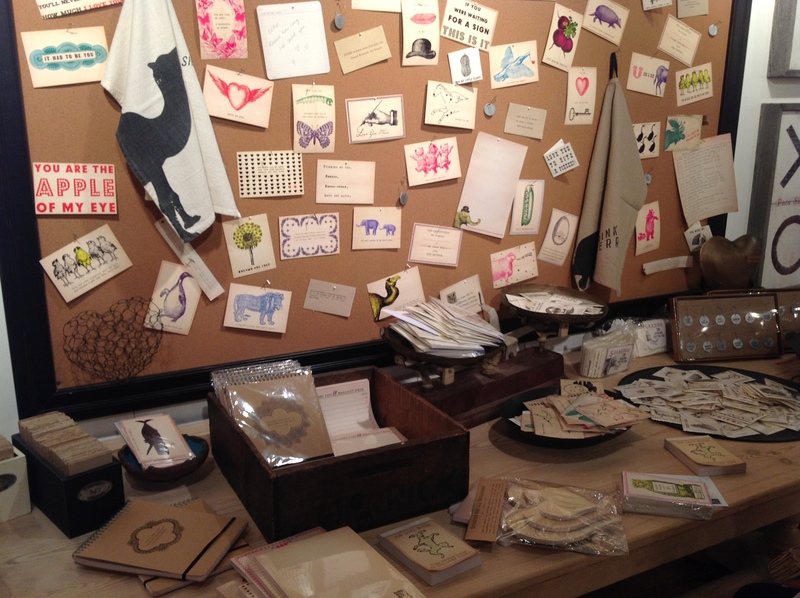 Browse Dash & Albert online! Happy Friday everyone! Jute rugs are the perfect rug for any summer beach cottage or coastal inspired home. 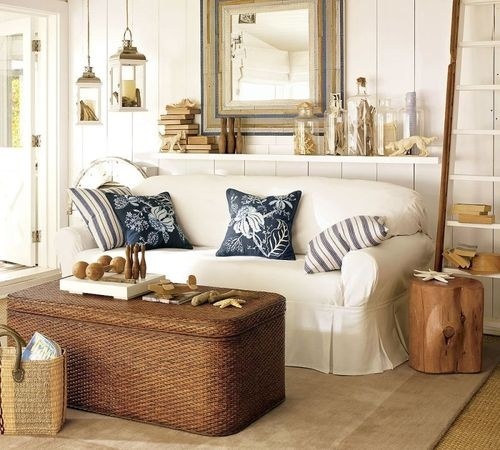 We’re all about infusing and incorporating as much of the beach lifestyle as we can into our homes. 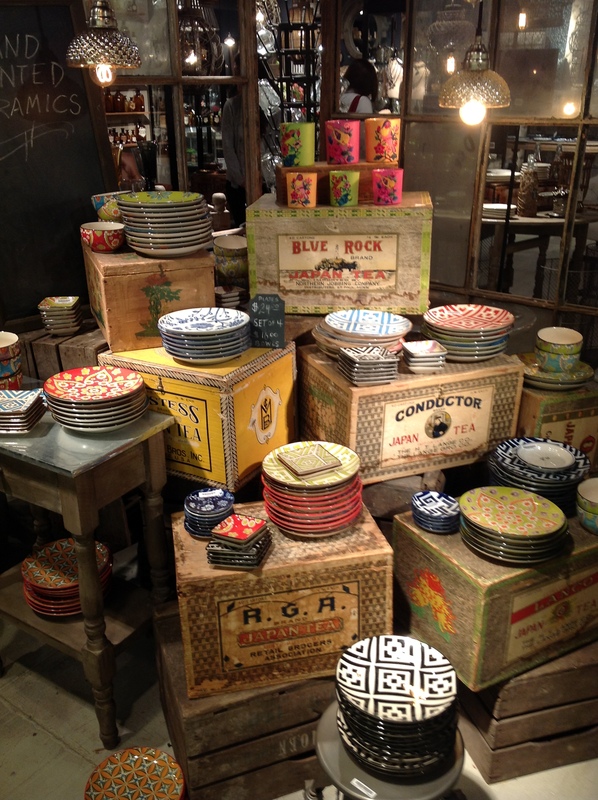 An underplayed area of any space is the floor. There’s so much potential to maximize the area and you would be silly not to. We’ve noticed that more of the summer trends have been rolling in and our favorite, the Jute Rug, is coming back in full swing. 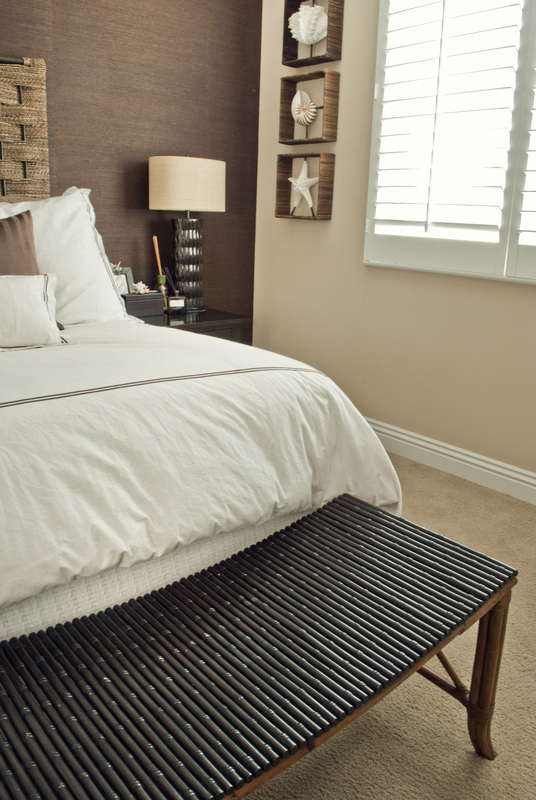 The Jute Rug is a great way to cover floor space and add some coastal love into your home. They are versatile and can be used in almost any room. 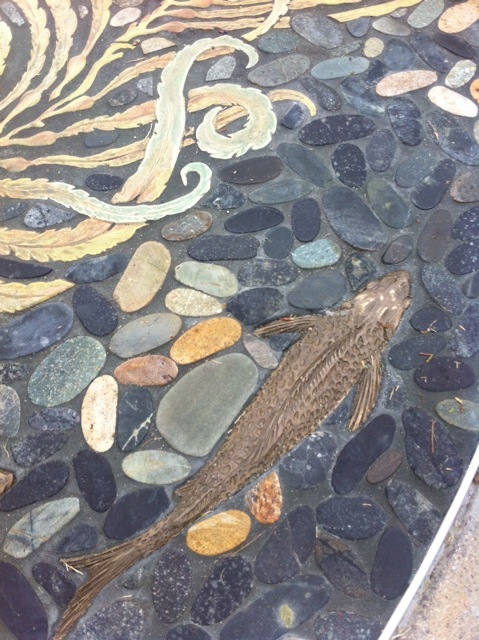 They can be used as a floor covering with other rugs laid on top it or they can lay solo and bring the space together. We stumbled upon this beautiful family room while getting lost in the time sucking void known as Pintrest. Boy do we love us some Pintrest! I’m sure we’re not the only ones. We thought this would be the perfect picture to recreate Tuvalu style and show you what you can do in your home with our help. We’ll show a few things that we can offer you guys and hopefully inspire you to take on a summer project. Let’s get started! 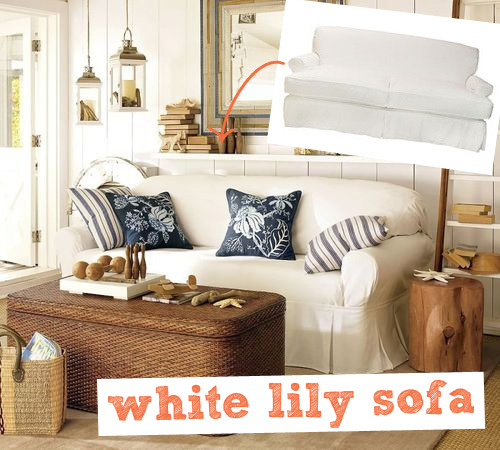 We’re starting with our White Lily Sofa and decorating the room from here. We don’t want a big or hard to maneuver around sofa in our space. The last thing we want is to have to climb over things to move around our room. The Lily Sofa will give you that desired look and plenty of extra space to work with in your room. We’re gonna need something on that sofa! 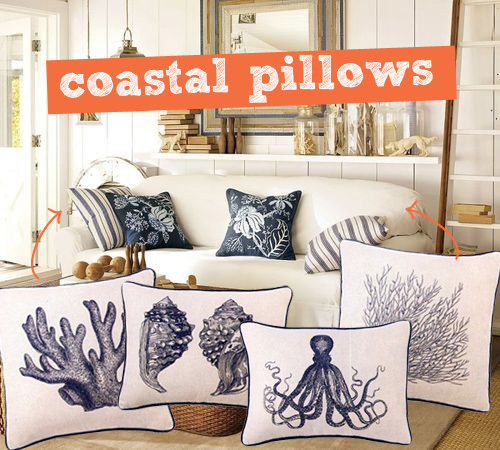 We’ve got plenty of pillows to choose from, but we’re gonna go with our Embroidered Coastal Themed Pillows. It will bring some more of those coastal vibes into the space and leave us dreaming of the beach. You’re gonna need somewhere to put your morning coffee or your afternoon iced tea, so we’ve picked our Havana Bench Table to meet your needs! We like wicker decor for multiple reasons, but the main reason is that it brings a coastal, rustic feel that over time only gets better. Have you ever seen outdoor wicker furniture that over time gets sun bleached? 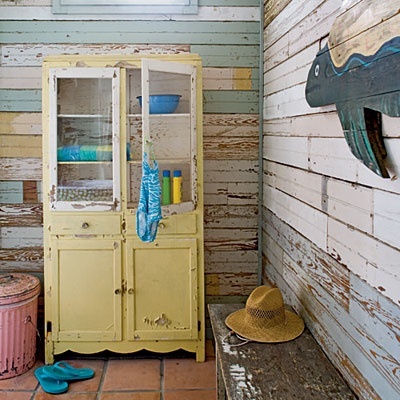 That’s what we’re talking about when we say coastal, rustic feel. 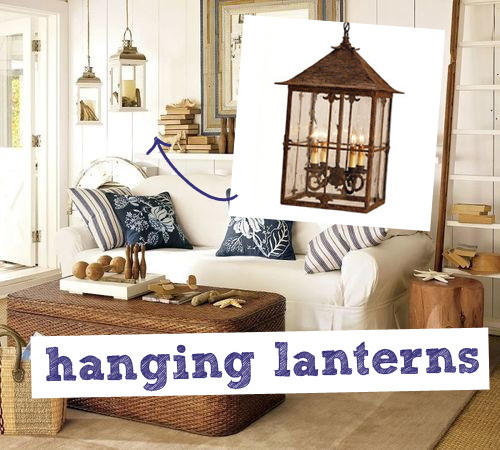 We absolutely adore those lanterns and think they are the perfect addition to the room. We like lanterns hanging, just standing on their own, big, small, tall, short, old and new. We don’t mind, we just like them way. It’s a good way to add more to a room and to utilize space that can’t be filled without making the room feel cluttered or crammed. 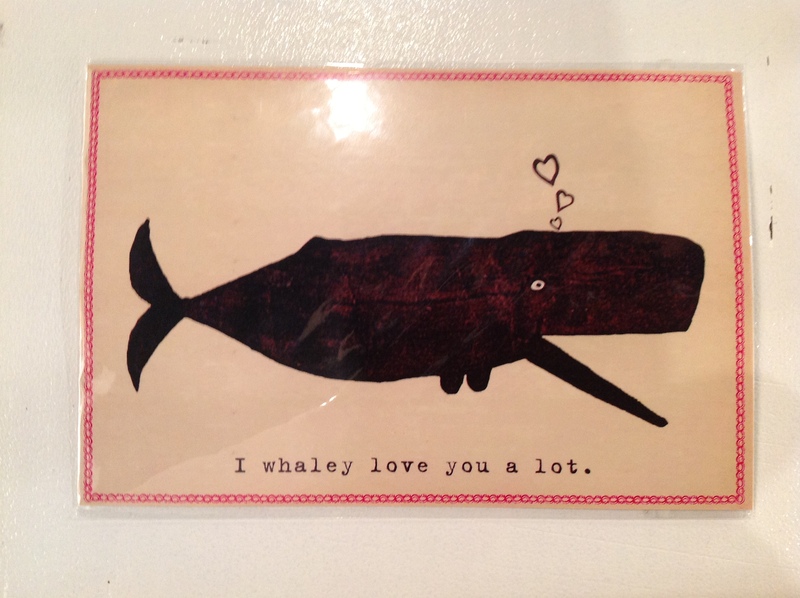 If you haven’t figured it out by now, we love all things from the beach. 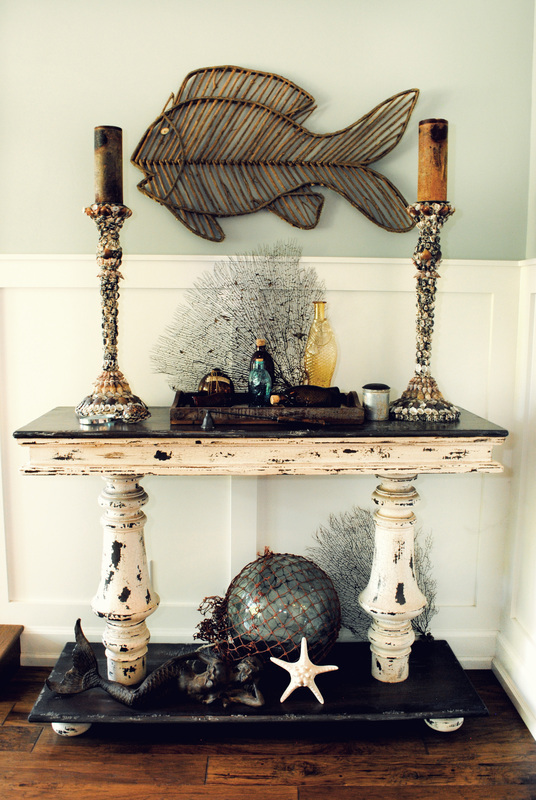 So when we saw that they added driftwood design elements we fell more in love with this room. 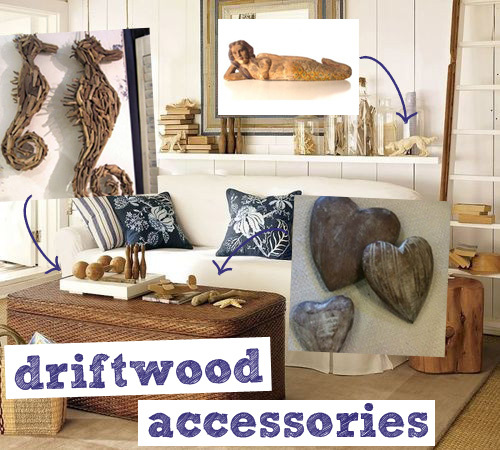 Driftwood is the perfect accent piece for a coastal style room. 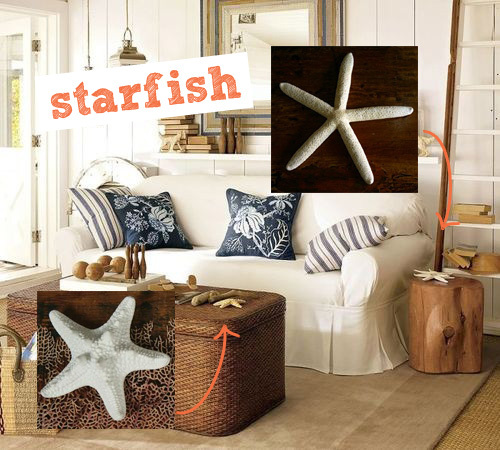 How could we ever forget about the starfish? We just can’t! 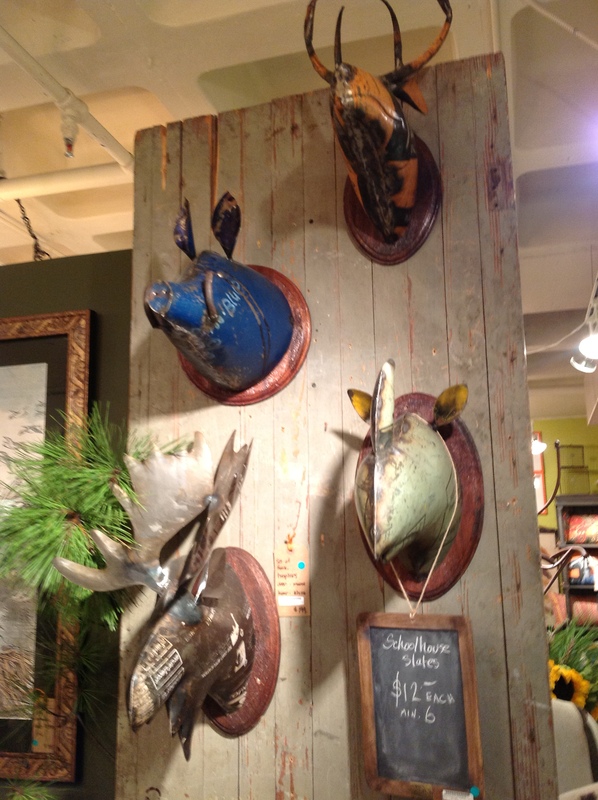 Shop all things coastal and more at Tuvalu Home! This is just a preview of the home, we have plenty more pictures for you! 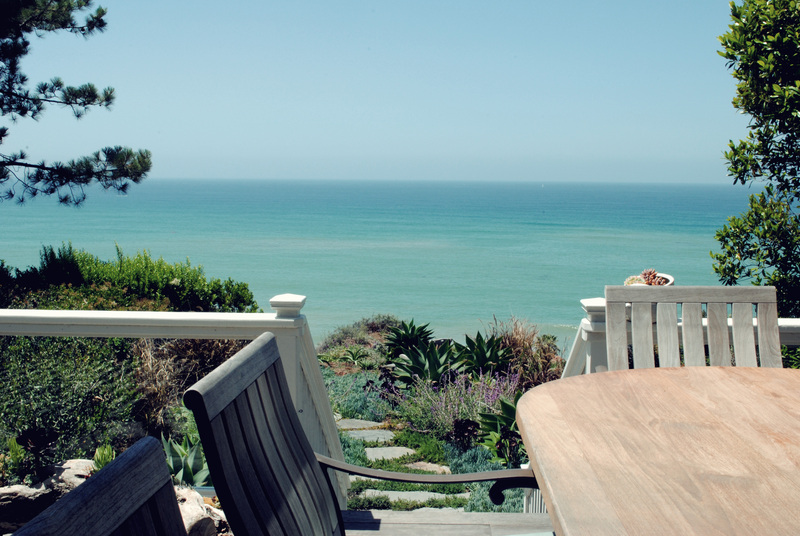 Look at all of the Capo Beach Home Pictures Here! Let us know what you think! 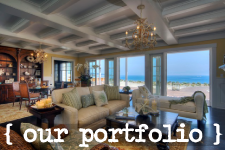 Check out our other homes on our portfolio page here.